Price with $50 promo code APINSIDER. Adorama will not collect sales tax on orders shipped outside NY and NJ. As always, if you have any issues, you can reach out to us at priceguides@gmail.com and we'll try and help. Featuring a 21.5-inch Retina 4K display with 4096x2304 resolution, Apple's latest iMac 4K was announced on June 5, 2017 at the company's WWDC conference. Processor speeds start at 3.0GHz via a quad-core Intel Core i5 chip and can be configured up to 3.6GHz via an Intel Core i7 CPU (with Turbo Boost speeds of up to 4.2GHz). 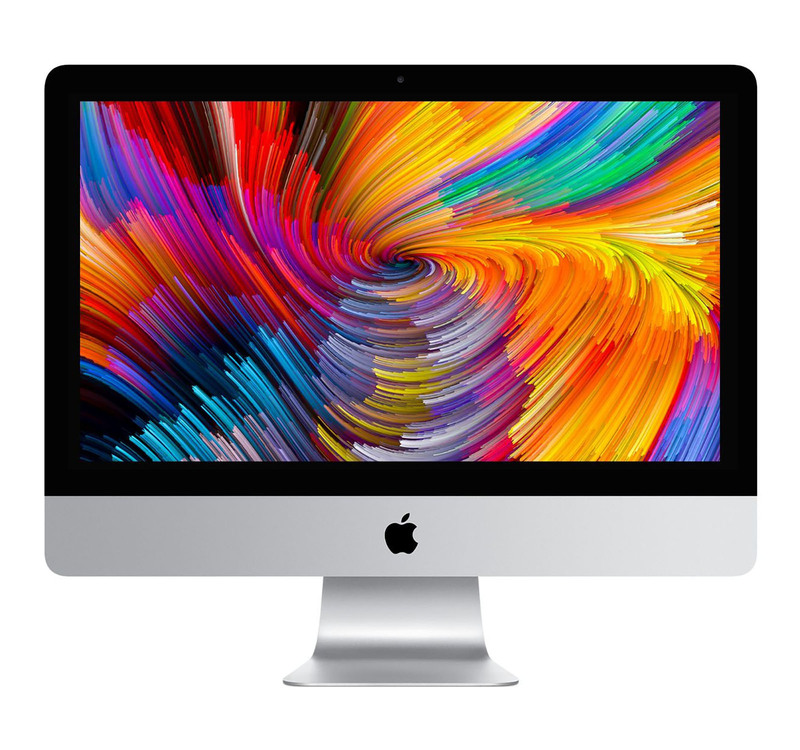 The 21.5-inch iMac 4K also comes standard with 8GB of 2400MHz DDR4 onboard memory and can be configured with 16GB or 32GB of RAM, depending on the configuration chosen. The base iMac 4K, which retails for $1,299, is equipped with a 1TB (5400 rpm) hard drive and is configurable with a 1TB Fusion Drive or an SSD with 256GB or 512GB of storage space. The higher-end iMac 4K with a 3.4GHz processor comes standard with a 1TB Fusion Drive, but can be configured with a 256GB, 512GB, or 1TB SSD. Regardless of the configuration selected, each iMac 4K is equipped with a FaceTime HD camera and a variety of ports [3.5mm headphone jack, SDXC card slot, four USB 3 ports, two Thunderbolt 3 (USB-C) ports, one Gigabit Ethernet port and a Kensington lock slot]. The all-in-one desktops, which offer 802.11ac Wi-Fi support and Bluetooth 4.2 technology, measure 17.7 inches tall and weigh 12.5 pounds.